Product prices and availability are accurate as of 2019-01-13 12:21:20 EST and are subject to change. Any price and availability information displayed on http://www.amazon.com/ at the time of purchase will apply to the purchase of this product. 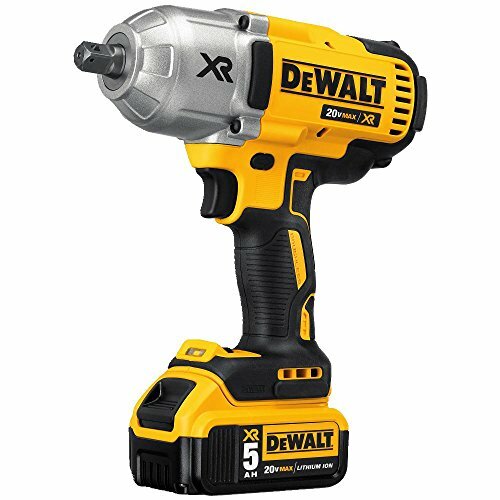 The DEWALT DCF899P2 20v MAX XR Brushless High Torque 1/2" Impact Wrench Kit w. Detent Anvil, 5. 0Ah (2 battery) features a brushless motor which is designed to provide superior run-time, performance and durability. It has a heavy-duty impact mechanism with a max torque at 700 ft. /lbs. for best-in-class torque with the most demanding applications, with a max breakaway torque at 1,00 ft. /lbs. This tool features a 3-speed selector switch that allows for application specific torque/drive control. 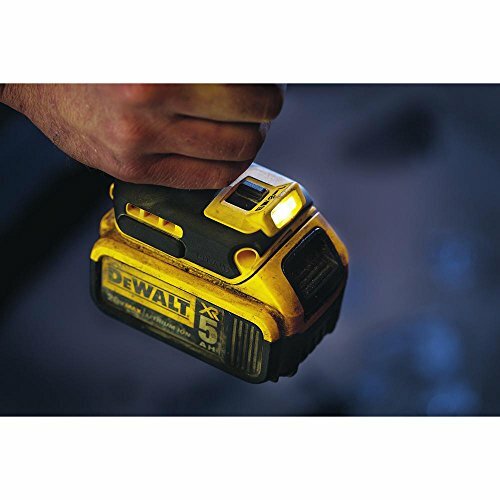 It also has a LED work light with a 20 second delay that will provide visibility when working in dimly lit spaces,. Even though this tool is ergonomic and lightweight, it can handle a 6-8ft drop and the anvil is resistant to shearing and breaking! A battery fuel gauge indicator will inform you about the level of charge available in the battery pack. The detent pin offers strong socket retention so to help avoid dropping sockets in various construction situations. 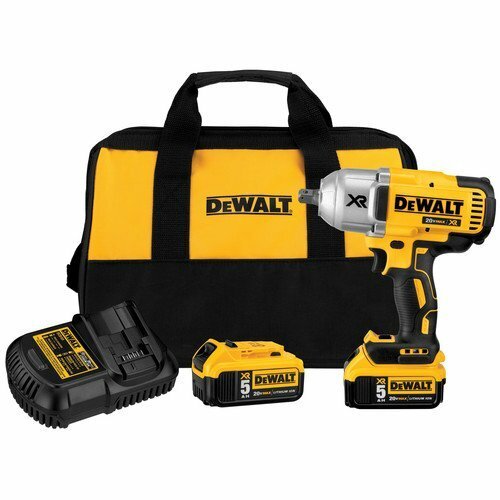 Includes: 1) DCF899 Impact Wrench, 2) DCB205 5. 0ah Batteries and 1) Multi-voltage charger.